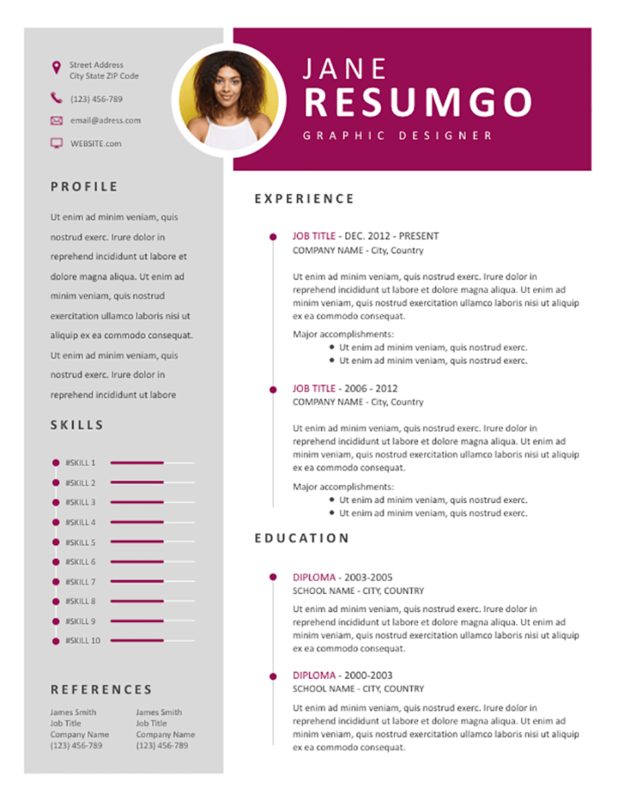 Efimia is a professional resume template with a salient magenta top banner. Two-column layout. On the left, a full-height gray sidebar contains your contact information, profile statement, skills (bar charts) and references. On the right side, you will find the top magenta banner and the main content (white background) for your key information (professional experience and education). Insert your ID photo in the circular shape to bring even more appeal and style to your resume.